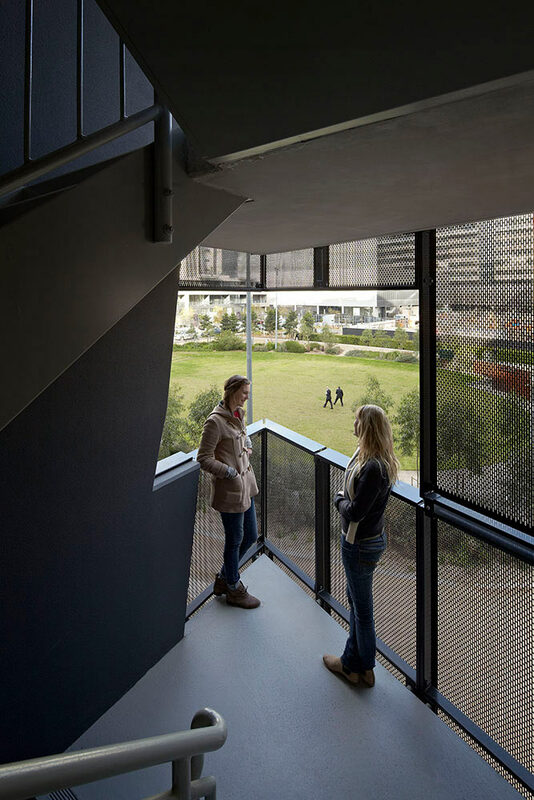 Hayball has worked on a series of key projects with the precinct’s developer to realise the ‘Second Decade of Docklands’ vision to provide new community infrastructure, successful public spaces and rich pedestrian experiences. Involving critical application of urban design thinking to achieve energised and animated public spaces, projects include the Library at the Dock, Docklands Community Hub and Serrata. 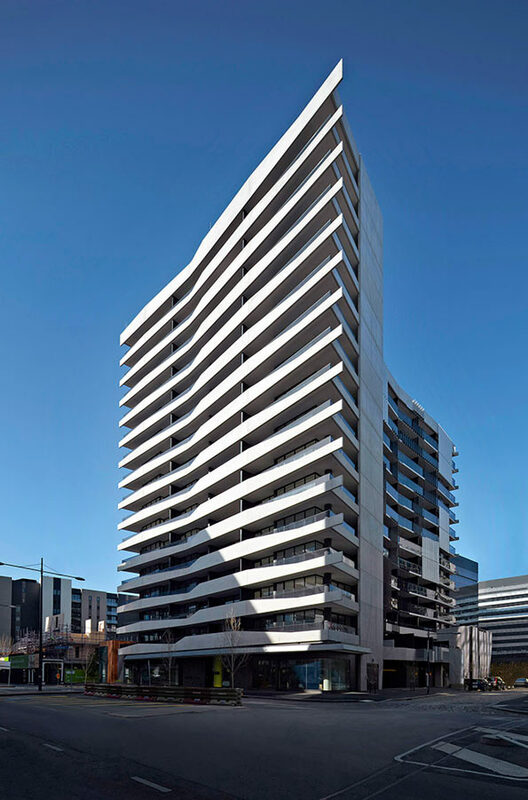 Boasting a dynamic façade and generous access to outdoor space for 144 apartments in the residential tower, Serrata is a 15-level mixed use development epitomising well planned, sustainable city living. 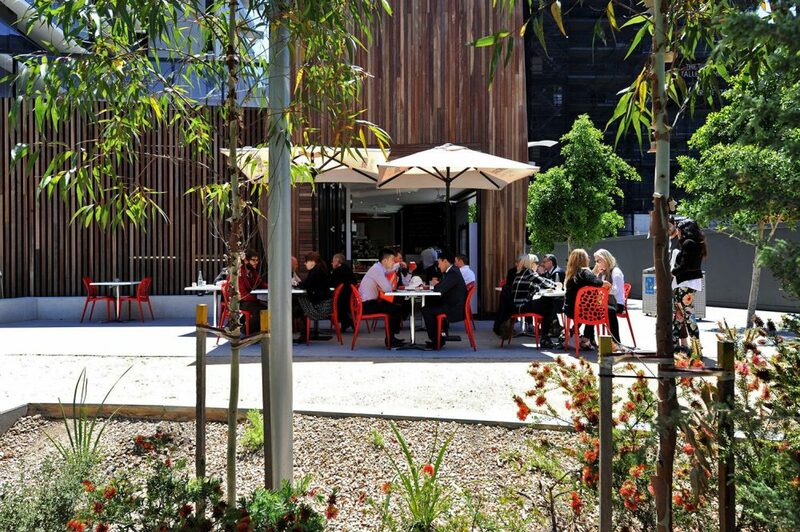 Adding to the area’s vibrancy are small scale retail tenancies on the Bourke Street frontage and direct connection to a neighbouring community park. 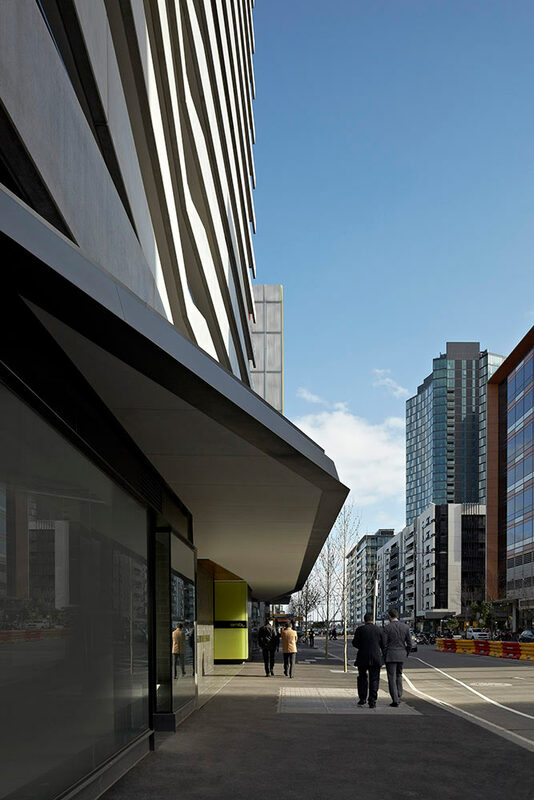 The project bucks the trend evident in a great deal of Docklands development, with its more intimate scale and the ‘beating heart’ of its interior through lighting and technology adding a new, warmer dimension to the precinct. 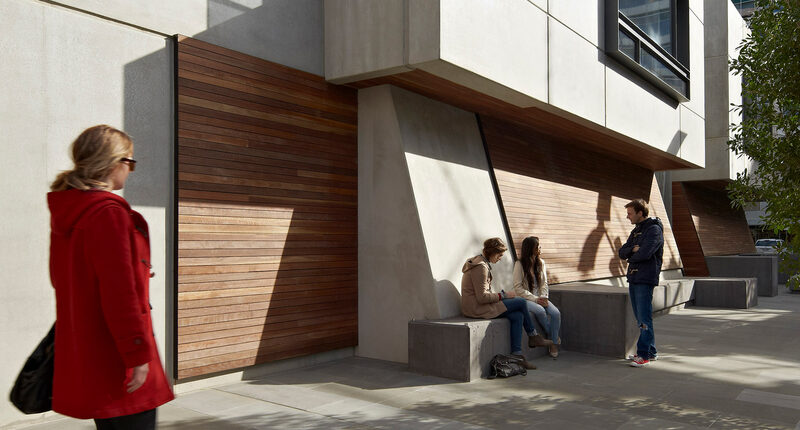 Connection between the interior and exterior is emphasised through ‘glimpses in-between’ as the building envelope reveals activity and movement at intervals within the space. Sustainability was a key focus. 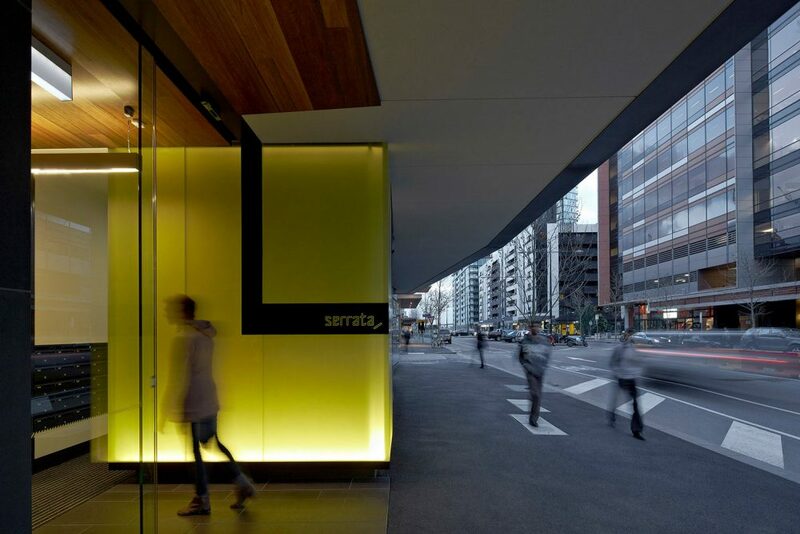 In a precinct with the highest concentration of green buildings in Australia, Serrata is certified to 4 Star Green Star and was Australia’s first to be constructed under the Green Building Council of Australia’s multi-residential tool.